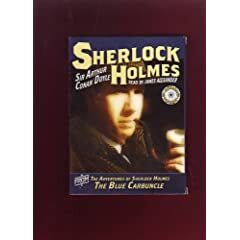 Furthermore: You can download “The Adventure of the Blue Carbuncle” for free at the online Classic Literature Library, which makes available at no cost books in the public domain: sherlock-holmes.classic-literature.co.uk/the-adventure-of-the-blue-carbuncle/. At top left is the Audio CD “The Adventures of Sherlock Holmes — The Blue Carbuncle” (Mitso Media, 2006), read by James Alexander, available on Amazon www.amazon.com and elsewhere. 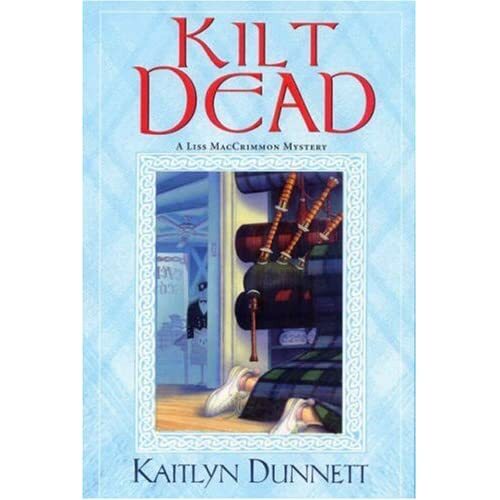 Kilt Dead: A Liss MacCrimmon Mystery. By Kaitlyn Dunnett. Kensington, 282 pp., $22. These are chilly times for amateur sleuths, those busybodies who solve crimes when they aren’t running bookstores or hair salons or catering services. Their efforts typically depend on a combination of legwork, intuition and the incompetence of the local police, who are too lazy or corrupt to find a killer who has turned up in a picturesque spot like the Ozarks or Cotswolds. And it’s getting harder to make their low-tech successes credible in an age of DNA testing, magnetic resonance imaging and other high-tech aids to crime-solving. Kaitlyn Dunnett gets part way there in her first mystery about 27-year-old Liss MacCrimmon, who returns to her hometown in western Maine after suffering a career-ending injury while performing with a Riverdance-like Scottish dance company. Back in Moosetookalook, Liss becomes entangled in a murder committed at her aunt’s kilt-and-souvenir shop while the annual Highland Games are going on nearby. Dunnett lacks a distinctive voice and draws her characters so broadly that most seem to wear hats as white or black as those in the “Spy vs. Spy” series in Mad. But she has staked out a part of New England that has few, if any, other takers in the mystery subgenre known as the cozy. And she has tapped into an enduring American romance with Scottish traditions, from bagpipes to single malts, that the infatuation with Tuscany and Provence hasn’t extinguished. Braveheart may have been ludicrouly unfaithful to the historical record, but it got one thing right: Scottish murders have a ghastliness all their own. Worst line: “Dan felt the back of his neck turn red.” He might have felt it getting warm, but could he feel it turning red? And some of Dunnett’s Scottish lore is misleading. One scene involves a man at the Highland Games who wears swimming trunks under his kilt while throwing the clachneart, similar to a shot put. Dunnett explains the bathing suit by saying, “A traditional Scot wasn’t supposed to wear anything at all beneath the kilt, but this was an American version of the Highland Games …” Men also wear trunks under their kilts during field events at Highland Games in Scotland and elsewhere. Even the British Army — which has much stricter rules than others about the wearing of the kilt — exempts from the “nothing underneath” rule any soldiers who are participating in these events and certain others, including parades. Janice Harayda www.janiceharayda.com is an award-winning critic and former member of the Royal Scottish Country Dance Society who has danced with Scottish dance groups throughout the U.S. and Scotland. Bill Peschel at Reader’s Almanac www.planetpeschel.com aptly describes Los Angeles as “ground zero to noir,” that fatalistic form of crime fiction that came into its own with novels like James M. Cain’s Double Indemnity. Akashic Books goes there in the 13th installment in its city-themed series of noir short story collections, which has made earlier stops in Detroit, Miami, Chicago, Baltimore, New Orleans and the Twin Cities. Peschel says that Michael Connelly gets the star turn in Los Angeles Noir (Akashic, $15.95, paperback), edited by Denise Hamilton, but that the book also has fine stories by Emory Holmes, Neal Pollack, Lienna Silver and others.